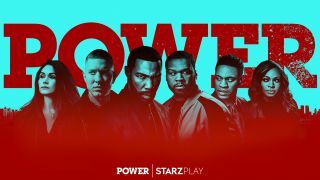 Starz Original series, Power, is the best show 50 Cent has ever produced and is set to make its highly anticipated return this week exclusively on STARZ PLAY Arabia. The show’s latest season will see its star-studded ensemble delve deeper into the seductive Manhattan nightlife of the elite, the violent underworld of organized crime and the equally ruthless world of law enforcement. Power snared in a large audience across Starz and its streaming app, STARZ PLAY, with its addictive plot lines and edge-of-the-seat suspense. The show follows family man, nightclub owner and drug kingpin, James “Ghost” St. Patrick (Omari Hardwick), torn up between trying to get legitimate while pursuing an old flame and dealing with the more nefarious side of his drug empire. Season 4 saw Ghost in his “darkest hour” dealing with a tough legal fight brought on by his ex-lover and struggling to recalibrate his life after his acquittal. Things weren’t any better at home with Tasha struggling to keep her kids protected from the negative aftermath of Ghost’s arrest. She loses control over Tariq as he begins to question the integrity of his family and starts hanging out with Kanan whose dark influence leads Tariq to all kinds of unruly circumstances including a botched robbery and a murder. There’s been a remarkable jump in the overall quality, drama and intensity of the show every season and if this level of progression continues, Power might have its most thrilling and captivating season yet. Can Ghost rise up from the tragic death of his daughter and work with old foes to reclaim power or will he fall apart and unravel? Power returns on July 2 and will air exclusively on STARZ PLAY in the Middle East. Viewers in the region will be able to watch new episodes same day as the US. All previous seasons of the show are also available on the app, if you need a quick refresher or a compelling series to binge on.